On the 13th of March, Muthukrishnan Jeevanandham AKA Rajini Krish, was found hanging from a ceiling in a friend’s room in Munirka, a locality that houses hundreds of students besides middle class families, in Delhi. He was dead by the time he was found. He belonged to the reputed university near Munirka, Jawaharlal Nehru University. Just a year after the death of friend and fellow student in the University of Hyderabad, Rohith Vemula, Muthu, like his friend, decided to take the path frequently taken by the lower castes and classes in this country. Both Rohith and Muthu were 27 year old Dalit scholars, belonged to poor households in the southern states of Andhra Pradesh and Tamil Nadu respectively. Consequently, they had travelled great distances to continue their higher education in central universities with the hope of ridding themselves of the historic burden thrust on them by a Brahmanical caste based society. Muthu joined JNU in October 2016, and attempted to make himself at home in a university known for its vibrant environment of debates, discussion and critical thinking. Ironically, this young man found himself feeling alienated in this space. His inability to converse in English, the lingua-franca of research, left him alone in the midst of endless chatter. 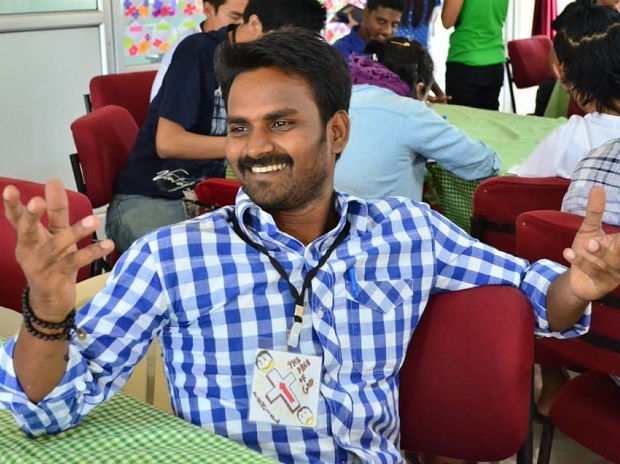 His friends in University of Hyderabad remember a vibrant Muthu, known to his friends as Krish, a lover of Rajinikanth movies, food and the company of friends. In Delhi, he appears to have had several acquaintances but few friends. Neither his mentors in Centre for Historical Studies (CHS) in JNU nor his peers in the university knew him well; this was evident in the series of condolence meetings organised in the university since his passing. He found his voice on social media where he spoke of the need to implement provisions meant for students like him, like the Thorat Committee Recommendations. The recommendations, released in 2011, spoke against policies that deprived other students their chances to do well in higher education. These are the restrictive policy of admission based only on viva-voce for MPhil and PhD following the University Gazette Notification in 2016 that students have been resisting ever since; and the lack of mechanisms to address cases of structural discrimination built into the system of higher education, revealed in the wake of Rohith Vemula’s death in 2016. No government, present or past, has made efforts to address the concerns let alone implement policies that concern young minds like that of Rohith and Muthu. Now, the government, following the Delhi High Court order, is bent on restricting the number of students a faculty member can mentor for higher research, further curtailing the scope of students like Rohith and Muthu from reaching the exalted spaces of knowledge and critical thinking in this country. Meanwhile, the ruling government and its agents are busy defending their actions that repeatedly lead to students dropping out of universities, failing to complete their courses, or committing suicide out of sheer frustration at the innumerable hurdles placed in their path. In response to Muthu’s suicide, Union Minister Pon. Radhakrishnan callously claimed, “…(these incidents) have been happening at many places for the last 60 years… I will not accept (the accusation) that this (death) has happened because of the BJP coming to power.” Another Union Minister Nirmala Sitharaman has promised to provide adequate compensation for the death of a student and consider jobs for his sisters. The magnanimity of those in power extends only as far as floral tributes, cash money, and opportune photos published for publicity. Muthu, in a Facebook post days before he decided to end his life clearly states, “When equality is denied, everything is denied.” Today, equality and humanity are both being denied to lives like that of Muthu and Rohith when we fail to see the root of the structure that perpetuates this violence. The Delhi Police, in its characteristic style, is busy portraying this death as a case of suicide due to "depression" and "personal reasons". Several well known scholars, intellectuals and commentators are keen to probe the personal life of Muthu, his relationship with his friends, his interests and even his intellect. Besides insinuations of a possible failed affair, rumours spread of an alleged charge of sexual harassment against the deceased Muthu. 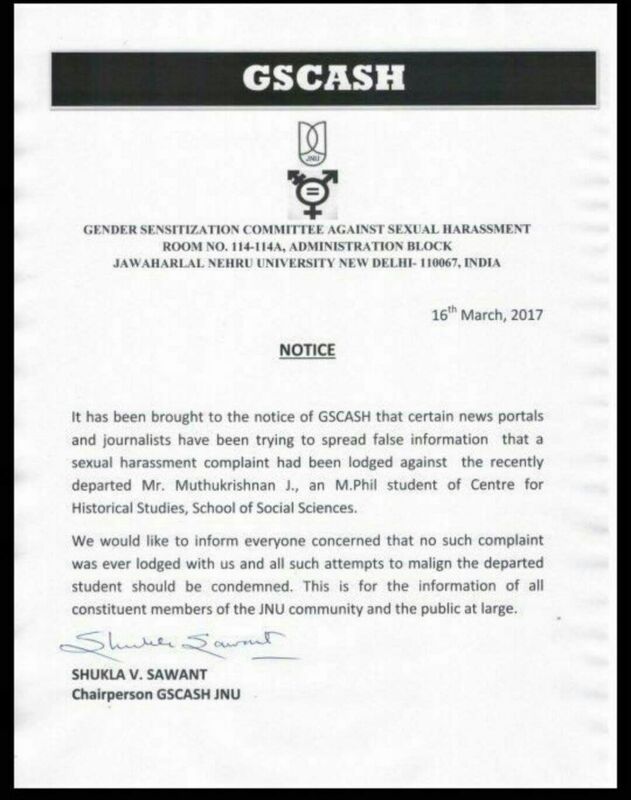 The salacious details implied in slanderous presumptions around the deceased student was such that the Gender Sensatising Committee Against Sexual Harassment (GSCASH) in JNU issued a statement refuting these claims. Meanwhile, Makarand Paranjape, a professor of JNU, wrote an op-ed insinuating that the lack of rational thinking and intellect leads to such deaths. He says, "One of the problems is that many disadvantaged students are fed on ideological myths, rather than encouraged to develop real competence in their chosen fields of study." In the midst of all this, the Vice Chancellor and drumbeating autocrat of JNU deigns to tweet his regret at the death of a student in the institution that he heads. Meanwhile, the Centre of Historical Studies (CHS) to which Muthu belonged is scrambling to come to terms with this death. Students are shocked and in rage, the teachers are grief-stricken, while Muthu’s father is at a loss to explain what he could have done to save his son. In the midst of all this, it becomes our responsibility to revisit the ways in which this can be read and addressed. For this, the Thorat Committee Recommendations help articulate what we have known for generations. The UPA government had constituted a committee headed by Prof Sukhadeo K Thorat to look into allegations of differential treatment of SC/ST students in All India Institute for Medical Sciences (AIIMS), a fully funded institution directly under the Central government. After interviewing students, teachers and staff the committee report says, “Given the relational nature of such experiences it is often difficult to capture the nature of discrimination. The self reported experiences of SC/ST students indicate that discrimination take the form of avoidance, contempt, non-cooperation, and discouragement and differential treatment by teachers towards these students.” The report, an archive of cases of discrimination, goes on to say, “Subjectivity apart, the problem seems to be deep rooted. This relates to the very attitude of the some high caste teachers, if not all, who carry with them the attitude of non-cooperation, and at times of contempt, which result in differential treatment towards SC/ST students. From the self experience of the students it seems clear that SC/ST students live with feeling that the teachers don’t treat them on par with other students, that they are not equally supported by teachers, that they face differential treatment from the teachers, often involving contempt by higher teachers. This created a feeling of insecurity, frustration, psychological problems leading to withdrawal and helplessness. All of this resulted in social isolation and ultimately failure in examinations.” Suggesting pro-active measures to address this discrimination built into the structure of the institution, the committee recommended, “The educational institutions are required to undertake remedial coaching for SC and ST students to improve their language skill and also remedial courses in the basic courses so that they are able to cope up with the regular course.” Recognising that it is difficult to capture caste bias as it is embedded in social relations and behavior, the committee recommended that the institution undertake measures to make the faculty more sensitive towards the problems faced by SC/ST students. The steps suggested to fight caste bias included an increase in objective evaluation and more transparency in practical and viva evaluations. A year ago, the UGC issued a circular dated March 1st 2016 on “Prevention of Caste based discrimination in Higher Educational Institutions”. This circular regulates that faculty members should desist from discrimination on the basis of caste, provide a mechanism so complaints may be registered on a page on the institutions website, and be sensitive while dealing with such cases of discrimination, especially in the case of ragging where it is clearly stated that “complaints…must be recorded properly and dealt with promptly”. The question that needs to be raised here is how far are these regulations being followed? When will the Thorat Committee Recommendations be implemented? And, when will we dare to accept that discrimination exists and recognise that we need to call it out before yet another life is snuffed out? Vidhya is part of the Editorial Collective at the Indian Cultural Forum.